If the buttons on your GameCube video game controller have become stuck or broken, you're probably thinking about tossing the controller in the trash. 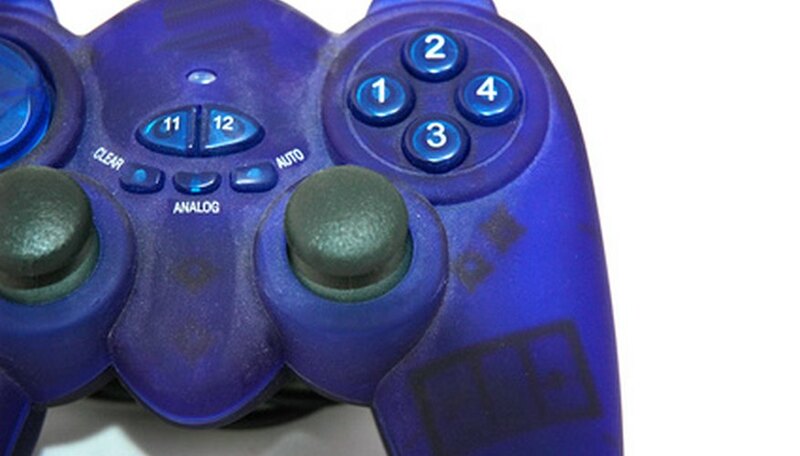 This isn't necessary--you can open up your GameCube controller and fix the buttons yourself. Even if you don't know that much about electronics, you'll be pleased to find that it's a relatively straightforward process that shouldn't take up more than a few minutes of your time. Unplug your GameCube controller and place it face down on a sturdy work surface like a table or desk. Use your Phillips screwdriver to remove all four screws from the back of the controller. Set the screws aside. Pry the back half of the controller gently from the front, but be careful as the two halves are still connected via a wire. Lift the green circuit board out of the front half of the controller and turn it over to expose the two analog joystick controls. The back of the rest of the buttons will now be visible in the front half of the controller. Check the analog joysticks to make sure they are secure on the motherboard. If not, press them firmly down onto the motherboard until they can't go any further. Inspect the remaining buttons in the front half of the controller and make sure they are fitted evenly in their compartments. If they aren't, adjust them so they are secure in the compartments. Reassemble your GameCube controller in the reverse order you took it apart. All the buttons should now work perfectly.